I must say, from now and then, my closet really surprises me and even though I'm in that I'vegotnothingtowear kinda stage for the majority of time, there are times when I find some really cool and completely forgotten pieces of clothing, laying somewhere in the back. So this time it was this absolutely perfect plaid skirt, that I had for ages and I actually can't remember when was the last time I wore it! ..And to think I almost bought pretty much similar one a few days ago, makes my discovery even sweeter! Amazing outfit, the skirt it's very cool ! Gorgeous ! I love your skirt ! Fab outfit! The previous outfit is also absolutely stunning! Love this! 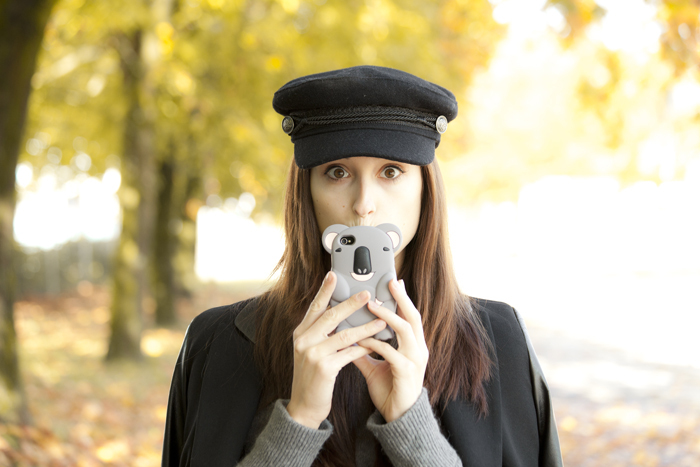 That skirt is awesome and so is your phone case!